Could your growing business use a travel management company? 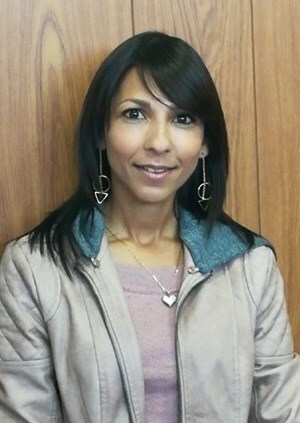 No fool in the slightest, Wendy Damon is the owner of Damp Control Cape - a member of the Master Builders Association Western Cape. Not quite a rags-to-riches story, hers is still quite impressive, reminding us all that we are the pivotal protagonists in our respective autobiographies. Damon's career in construction began at reception, but through exceptionally hard work and perseverance, she's now a successful entrepreneur with a solid reputation in her industry. With over 30 years' experience in the industry, Damp Control Cape are specialists in the application of water repellent, salt retardant plasters and the injection of safe, non-corrosive silicones and micro-silanes into walls to form an impermeable barrier against rising damp. We chatted to Damon to find out more about what her business is all about, how she made the jump from receptionist to successful entrepreneur, and how government can create a more enabling environment for an entrepreneurial culture to thrive in SA. Tell us more about your business and what you do. Wendy Damon: As the name suggests, we do remedial damp proofing to walls. Damp proofing is not to be confused with waterproofing, as waterproofing is an entirely different process. Damp occurs when there is either defective or no waterproofing. My role is to oversee the day-to-day operations of the company, and also visiting potential clients and providing them with a free quotation. How did you make the jump from receptionist at a construction firm to successful business owner? I displayed an interest in learning the ‘ins and outs’ of the trade. Fortunately, my mentor is one of the best in this industry and without his guidance, I would not be where I am today. The general perception is that the construction industry is a man’s world; do you feel this has changed at all since starting your business? I have noticed an increase in the number of women in this industry. However, I feel that there are still several opportunities for women to make their mark. What are some of the challenges you've encountered as an entrepreneur, and how have you overcome them? With the current state of the economy, people are somewhat reluctant to spend money. At times, I have had to re-negotiate the rate in order to accommodate my clients’ budgets. This affects the overall profitability of the business. Do you think anyone can be an entrepreneur or is it something you're born to do? No, I don’t think anyone can do it. There are certain characteristics a person must have in order to succeed. You need be a tough negotiator, a problem solver, and have the ability to deal with people (staff and clients). You also have to be business-savvy and understand the industry that you are in. As an entrepreneur, how can government create a more enabling environment for an entrepreneurial culture to thrive in SA? The government has initiatives in place to help small businesses get started. However, these are not advertised enough. I think government could do a lot more to make these initiatives more accessible to the man (or woman) on the street. What advice would you give to someone thinking of venturing into the construction sector in SA? It is imperative that you have been properly trained in the relevant field. If not, a building could collapse and several people could die. In other words, don’t rush into something if you are not completely prepared.